Loving the simplicity of this necklace. Beautiful hand lettering that has me swooning. Get your sew on and make this adorable shirt. 5 ways to sparkle is month. The world's most beautiful lakes. Sweet treats for a Summer dessert table. Homemade cotton candy, no machine necessary! Home-made cotton candy?! Going to check it out now! So many fun links to check out!! This pic is the perfection of summer! That video was so cute! What a sweet proposal! hope you have a fantastic weekend my love! happy Friday sweetheart! 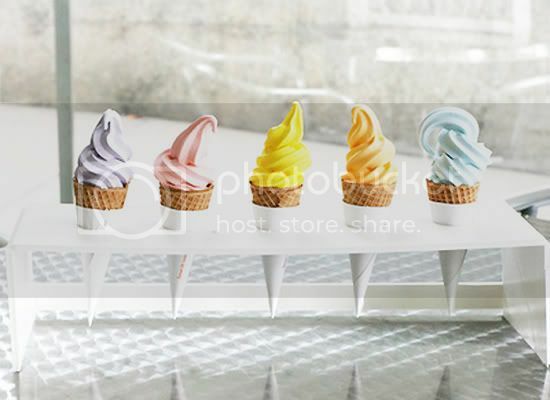 i sure wish mine was starting off with those delicious looking candy colored cones! good gosh, they look amazing. thank you, thank you for making your links pop up in a separate window. it makes viewing easy peasy and full of pleasure! i was hanging my mouth open about Leigh's shirt to skirt project. masterpiece of joy! graffiti proposal was incredible on so many levels. how unique and rad is that dude?! I love when people post their favorite links. Definitely going to be checking these out! hey! you have a new design!!! :) am I super behind? is this what happens when I don't read blogs?! Jessica-your blog layout looks amazing. If I had known you do such amazing work I would have come to you to do my blog makeover. LOVE the new look!!!! hope you are having a lovely weekend..off to check out a few of these links. Love the new blog look! Keep it up! I could use this ice cream with the heat we have right now. Love all the cute links! Have a great week!